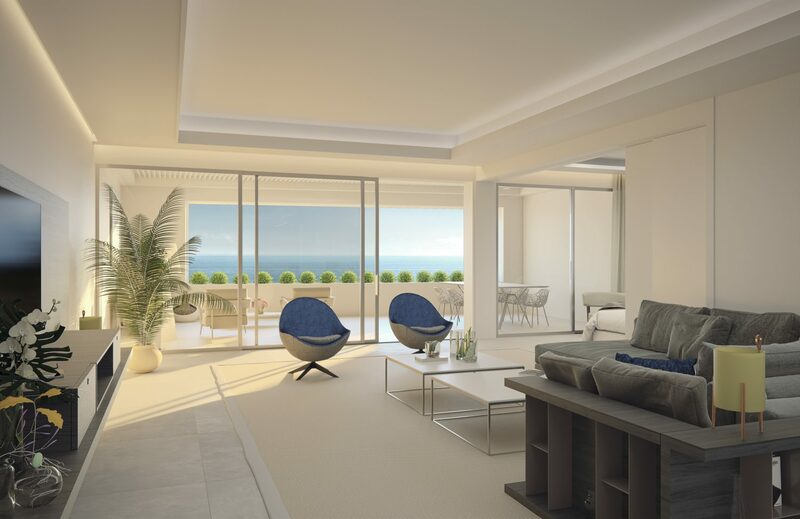 A new beachfront development of 36 luxury off-plan apartments & penthouses perched above the Estepona promenade. The properties offer contemporary design and open-plan layouts which flow through to the spacious terraces, many of which provide spectacular views of the Mediterranean. There are a number of different floor plan options available, from a large 1 bedroom apartment of 81m2 through to a villa sized 4 bedroom, 5 bathroom penthouse of 297m2. The properties will be constructed to a very high specification with many of the luxury finishes you would hope for in a premier project. This exclusive development is also ideally located on the main promenade in central Estepona and is within easy walking distance of most of the best restaurants, shops and bars this thriving, popular town has to offer.